Catering science education to the doorsteps of the downtrodden and economically backward people of Eastern Maharashtra. 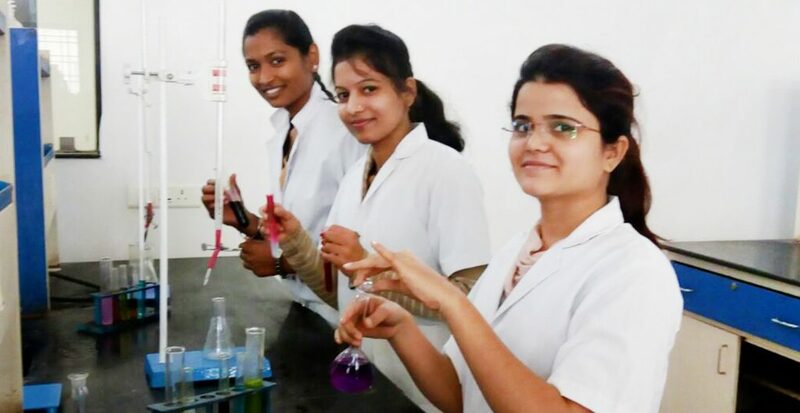 Dhote Bandhu Science College, Gondia has the privilege of identifying itself as an exclusive science college in rural eastern Maharashtra state of India with over 1700 students and offering a wide range of undergraduate, postgraduate and doctoral programs in sciences. It is affiliated to RTM Nagpur University and reaccredited with grade ‘A+’ (CGPA- 3.51) by NAAC Bangalore. UGC has approved the college for ‘College with potential for Excellence’ status. Students have a wide choice of UG as well as PG programs in the Faculty of Science. It includes B.Sc., M.Sc. BCA and skill based degree programmes B. Voc. The College is recognised as Centre for Higher Learning and Research to RTM Nagpur University for Ph.D. Programme. The value added add-on courses, career oriented programmes under UGC Community College scheme enriches the curriculum. Some interdisciplinary certificate courses under IGNOU help the students for horizontal mobility. Vocational courses are offered in close collaboration with reputed industries. The socio-economic profile is unique. About 80% students belong to disadvantaged section of society coming from nearby villages. 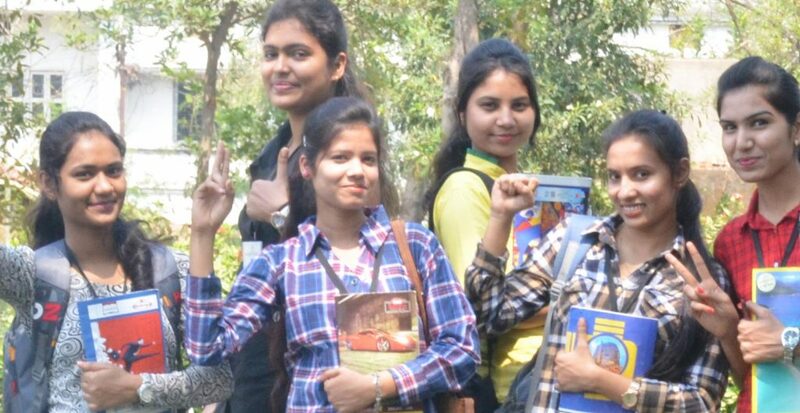 College impart co-education with 70 % girl students. DBSC is re-accredited by NAAC with ‘A+’ Grade (CGPA- 3.51) in the year 2017. Over 3 acres replete with a variety of facilities, State-of-the-art laboratories, libraries, Wi-Fi, 300 capacity AC auditorium, AC conference room, ICT enabled smart classrooms, Girls’ Common room with premium facilities, sports club – gym RO drinking water, Botanical Garden, green lush lawn, students’ section, parking, solar lights. Good number of students placemen in companies TCS, Wipro, Cognizant, Infosys, and others. On-the-spot sanction of bank educational loans during counseling. As and when the scholarships are received from the government, they are immediately distributed to the deserving and pertinent students. 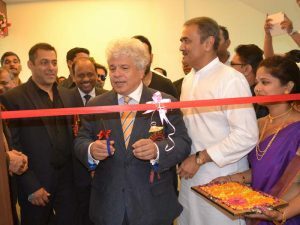 Considering the challenges of the changing time and the demands of skill-based education, the institution has been striving hard to bring into reality its multi-dimensional mission for the last five decades. To disseminate the latest and updated knowledge. To promote in-campus research activities. To ensure all-round development of every student. To train the students for self-development. To carve the true citizens and skilled professionals of tomorrow. The mother institution of society, N.M.D Arts and Commerce College ventured to start a Science faculty in its own fold in 1963 . The popularity of the faculty inspired the management of the Society to go ahead with the plan of setting up an independent Science College in Gondia. The founder president of the GES Late Manoharbhai patel along with his companion Late Kashiramji Dhote with their best endeavor to set up Dhote Bandhu Science College in 1969. 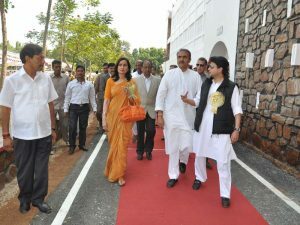 Since then the college is marching on the path of progress and prosperity. In 1999, at the flag end of last century the management felt a dire need of post graduation courses in the faculty of Science as n such provision was available in the whole district . hence the college started post graduation courses in three subjects i.e. Chemistry , Microbiology , and Computer Science in the cadmic session 2003-04 two more post graduate subjects physics and botany were introduced. 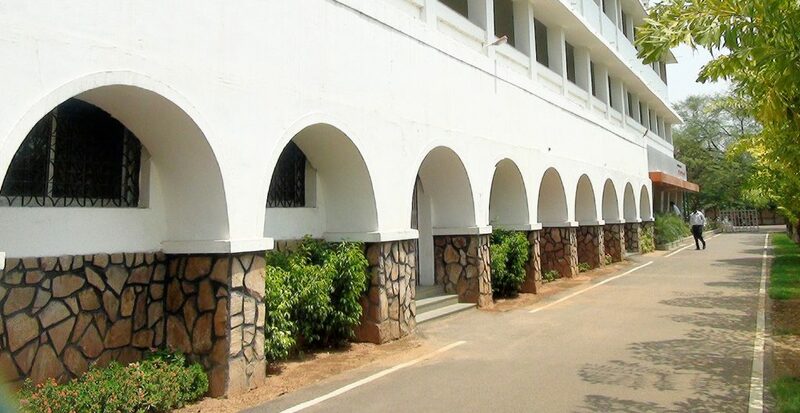 In 2004, college underwent NAAC accreditation and acquired B+ grade. In 2006, recognised as LEAD college by RTM Nagpur University. In 2007-08, need based certificate/ Diploma courses were stared under UGC scheme. In 2nd cycle of accreditation, it was crowned by A grade by NAAC in 2011. The skill based career oriented degree and other and indigenous value added courses has been approved and run from 2014 under UGC scheme. In 2015 the college recognised as ‘Centre for higher Learning and Research’ for Ph.D. programme in Physics, Chemistry and Botany under Faculty of Science of RTM Nagpur University. In 2015 CPE status has been approved by UGC. In 2017, 3rd cycle of accreditation college brought Laurel by accrediting with A+ grade by NAAC Bangalore and becomes first college with A+ grade among those affiliated to RTM Nagpur University in rural region. @2018 Dhote Bandhu Science College, Gondia.